As promised, a giveaway to celebrate 5 years of Strawberry Blonde Beauty... 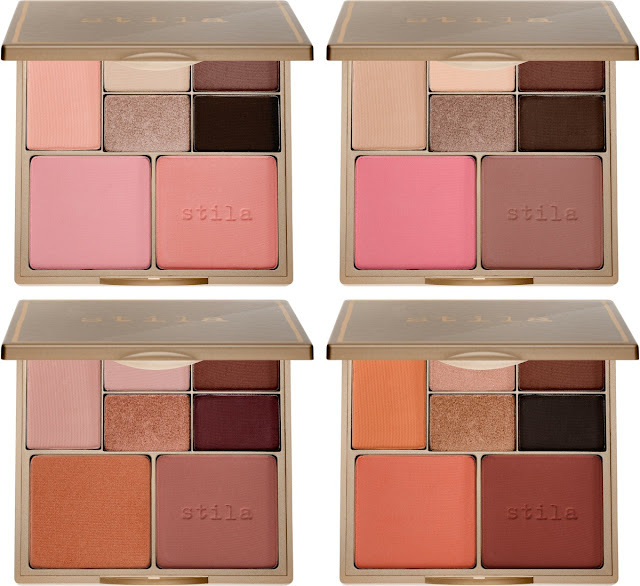 I wanted to choose a gorgeous new product that would suit any one of my readers - and Stila's Perfect Me Perfect Hue Palette seemed... well, perfect! The eye and cheek palettes are available in four shades to suit different skin tones: Light/Fair, Fair/Medium, Medium/Tan and Tan/Deep. Or you can choose whichever you prefer... I think I'd go for Light/Medium. Each palette contains five eye shadows and two blushers in a mix of matte, shimmer and pearl finishes, all housed in a glam gold compact. 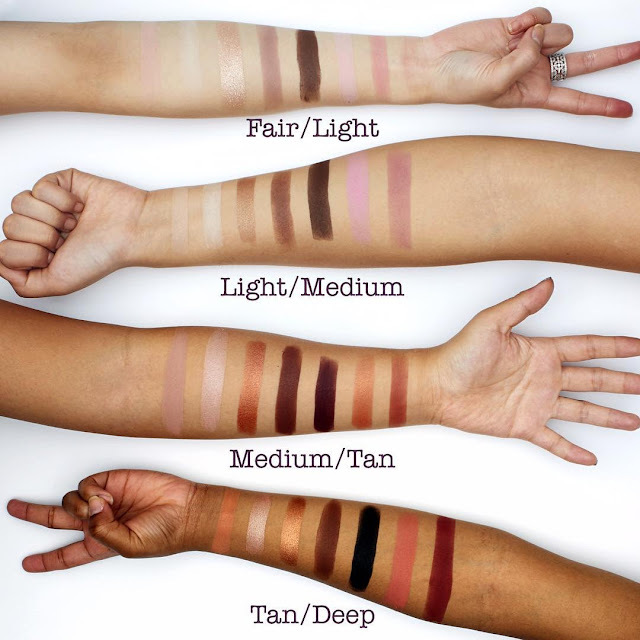 These swatches (by Stila) show how they look on the skin - every one of them looks stunning! One winner may choose their preferred shade of Stila Perfect Me Perfect Hue Palette, which I will order online and have delivered to them directly. Entry (via Rafflecopter below) is open internationally and closes on Tuesday 12 July at 12am GMT. Best of luck - tell me in the comments which shade you'll choose if you win! NB The winner will be selected at random and prize is subject to availability. If your colour choice is unavailable for any reason, vouchers of equal value may be offered as an alternative.